The English Springer Spaniel was originally bred to be a hunting companion and a bird dog centuries ago. Before the 17th century and the invention of the wheel-lock firearm, hunters relied on sporting spaniels to help them flush out birds in high grass, point, and retrieve them. They were prized for their tough, muscular stature that was built specifically for long days out in the field assisting their humans. After the hunting rifle was perfected, the English Springer Spaniel was prized as a reliable and valuable gundog. In the late 1800s, English Springer Spaniels and Welsh Springer Spaniels were considered the same breed. The Kennel Club of England recognized these dogs as two separate breeds in 1902, which also separated them from Cocker Spaniels. The English Springer Spaniel was recognized by the American Kennel Club in 1910 as part of the Sporting Group. The dog breed gained increasing popularity in the United States and Canada in the 1920s and was highly valued for their work in the bird fields. 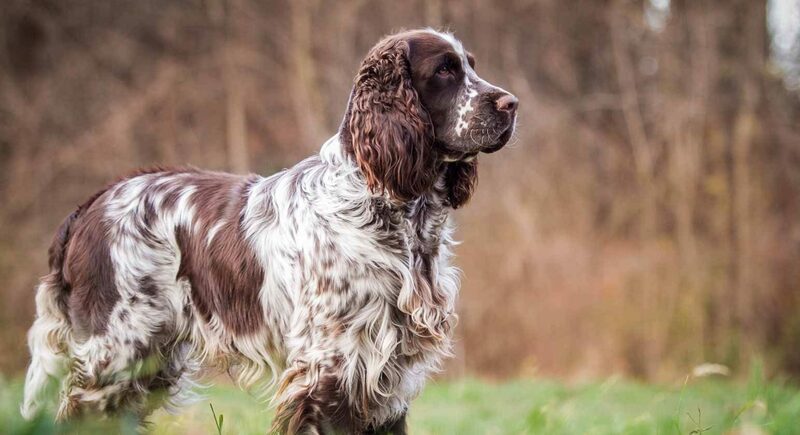 Now, the English Springer Spaniel can still be found as a hunting companion, working professionally in K-9 units as a detection dog, and living as a well-loved family companion. This dog breed is active, faithful, loyal, and loving. The English Springer Spaniel is the quintessential people-pleaser and they crave company and affection. They tend to be a very friendly and sociable dog breed with a gentle nature. They generally get along well with other pets and children, which makes them a great family pet that will be eager to join in on any activity as long as it means they get to be with you. The English Springer Spaniel is a highly adaptable dog breed. Although larger homes with yards where this dog breed can run are ideal, they can adapt well to apartment living as long as they get enough exercise. They also tend to do well in most climates as their double coat offers them a little bit of extra protection in the winter. As with most dog breeds, they are sensitive to extreme heat or cold. This is a generally healthy dog breed. As with all dog breeds, there are some health conditions to be aware of including hip dysplasia, elbow dysplasia, and eye conditions. Checking with the breeder about the genetic history of the parents and asking to see any health clearances can help allay some of these potential health concerns. This dog breed is usually very easy to train, which makes them a good fit for owners of any experience level. The English Springer Spaniel is highly intelligent, obedient, and eager to please their owners. The key to this dog breed is positive training methods and ensuring they get enough activity and exercise to remain engaged and happy. Puppy training classes can help all owners develop a strong bond with their English Springer Spaniel puppy and are a good opportunity for some early socialization as well. English Springer Spaniels are known for their splotches and freckles. Common coat colors are black and white, liver and white, blue or liver roan, or tricolor. They also often have freckles across their legs and muzzle. This dog breed has a weather-resistant double coat. Their outer coat ranges from short to medium in length. Brushing their coat weekly with a hard bristle brush helps reduce shedding, work out tangles, prevent matting, and keeps their coat in good condition. On top of that, you will want to trim your dog’s nails monthly, brush their teeth daily, and check their ears regularly to ensure they are dry, clean, and free of debris. Keeping your dog’s nails trimmed ensures they can continue to walk and move around comfortably. Nails that are too long tend to get caught in things and can force your dog’s paws into unnatural and uncomfortable positions as they try to move around. Good dental care for your dog is imperative in order to reduce tartar and plaque buildup and help prevent dental disease. English Springer Spaniels have floppy ears that drop down. This type of ear can collect moisture, dirt, and debris and can be prone to infection. By regularly checking your dog’s ears and carefully cleaning them as needed, you can help keep your dog’s ears healthy and reduce the chance of ear infections. This dog breed is high energy and needs plenty of exercise to stay happy and healthy. They are fans of long walks, hiking, and any activity that keeps them close to you. Individual dogs may vary, but this dog breed tends to enjoy swimming. Their fun, playful nature and the innate sense to chase and retrieve makes games of fetch, as well as chase, a joy. 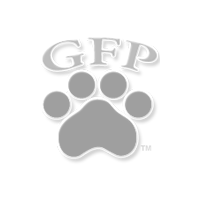 They also tend to excel in several dog sports including tracking, rally, agility, and obedience. If your dog is a fan of swimming, they may even enjoy competing in dock diving as well. An English Springer Spaniel will generally stand between 18 and 20 inches tall at the shoulder and weigh between 40 and 55 pounds. This dog breed usually lives for 10-14 years. The English Springer Spaniel gets its name from their hunting style. Although they can also point and retrieve, they are known for being used to flush out, or “spring”, game in the field by chasing birds into flight for hunters. The English Springer Spaniel is a breed of gun dog originating in England. Descending from the Norfolk Spaniel, they are traditionally used for flushing, or “springing” and retrieving game due to their speed, focus, and stamina. These pups also have a great sense of smell, being used as sniffer dogs to find things such as explosives, bumblebee nests, cell phones, and more. They make a great family dog since they are eager to please, quick to learn, obedient, and affectionate. The English Springer Spaniel requires daily exercise and need regular brushing and trims to avoid a matted coat. They were recognized by the American Kennel Club in 1910.